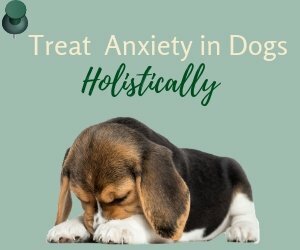 Please read the legal disclaimer for the website https://www.natural-dog-health-remedies.com (Natural Dog Health Remedies). 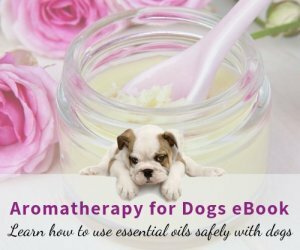 Welcome and thank you for visiting our site Natural Dog Health Remedies. This site is, first and foremost, an information-only site. The information on this site is strictly for educational purpose only. 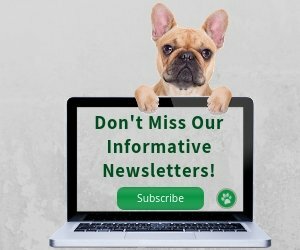 As the site publisher is not engaged in rendering veterinary medical services, information on this site is NOT intended to replace the professional advice and treatment of a veterinarian. If professional veterinary assistance and advice is required, please seek the services of a competent professional veterinarian. While the publisher of this website has endeavored, as much as possible, to provide accurate and up-to-date information, there is no guarantee that the information is one hundred percent error-free. Therefore, the information provided should only be used as a general guide. THE OWNER AND THE PUBLISHER OF THIS SITE WILL ASSUME NO LIABILITY NOR RESPONSIBILITY TO ANY PERSON OR ENTITY WITH RESPECT TO ANY LOSS OR DAMAGE RELATED DIRECTLY OR INDIRECTLY TO THE INFORMATION ON THIS SITE. NO WARRANTIES OF ANY KIND, EXPRESS OR IMPLIED, ARE MADE. THE PUBLISHER WILL PROVIDE NO REMEDY FOR INDIRECT, CONSEQUENTIAL, PUNITIVE OR INCIDENTAL DAMAGES ARISING FROM THIS SITE, INCLUDING SUCH FROM NEGLIGENCE, STRICT LIABILITY, OR BREACH OF WARRANTY OR CONTRACT, EVEN AFTER NOTICE OF THE POSSIBILITY OF SUCH DAMAGES. Our site's forums invite visitors to submit their own stories or ask questions using special forms on the website. This content will be published on the website. Users agree to obey the submission guidelines, submit only original content and photos. Your submission to this site must be legal, non-defamatory, non-confidential and non-infringing of copyrights owned by others. This site reserves the right to reject and edit submissions. This site does not take responsibility for the accuracy of suggestions, comments, opinions, and any other messages posted by visitors to the site forums. Through these partner programs and advertising our site receives a small commission for the sale of products and books. All affiliate products recommended in this website are carefully selected by the site publisher/owner after research, based on their quality, customer reviews and ingredients (where applicable). Affiliate products do not influence the content of this website. Rest assured that I only partner with serious and reliable companies. If you do not agree with any of the above, please refrain from accessing and using the information in this site.